'Woven' explores the bind of a chance meeting and the way we become entwined with someone during a particular period of our life. This 9ct Rose Gold pendant features a fluid, enhanced loop that represents the point at which paths are crossed and become woven forever, for a period of time or for a vital, unforgettable moment. 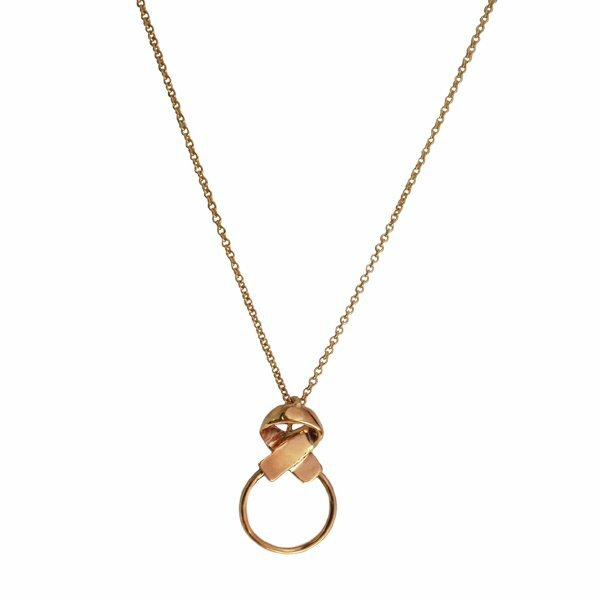 Perfect fro everyday wear, it includes a 45cm 9ct Rose Gold chain. To complete your look, there are matching earrings, a bangle + a ring in the series. Please allow two-weeks lead time.